Don't be so ambiguous. Which one??? 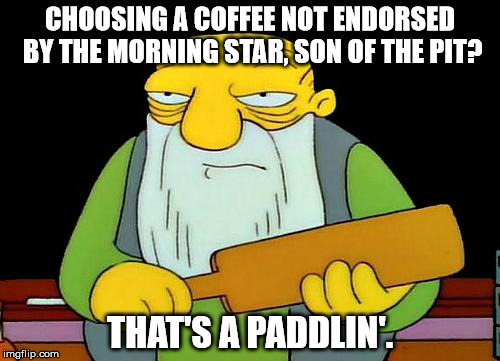 CHOOSING A COFFEE NOT ENDORSED BY THE MORNING STAR, SON OF THE PIT? 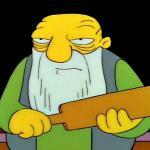 THAT'S A PADDLIN'.